D.C. council member David Grosso (I, at large) and Maryland State Delegate David Moon (D-Mont. Co.) do not want taxpayer money spent on a new Washington Redskins football stadium in Maryland or D.C. unless the team changes its name, which many find offensive. News 4's Tom Sherwood reports on a new effort. The Washington Redskins are considering locations for a new home when its lease at FedEx Field expires in 2027, but two potential locations could come with provisions about the team name. Maryland, Virginia, and Washington, D.C., are all possible homes for a new Redskins stadium. However, the controversy over whether the team name is offensive or not has some officials withholding their support until a change is made. D.C. Council member David Grosso and Maryland Delegate David Moon (D-Montgomery County) don't want taxpayer money spent on a new Redskins stadium in Maryland or Washington unless the team changes their name. Grosso said the football team is "a team with such a racist and derogatory name." 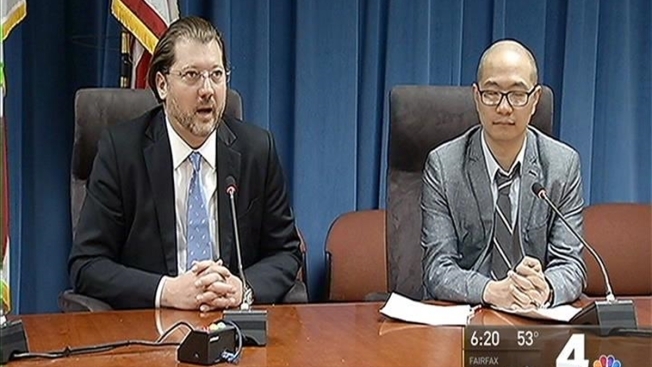 Grosso announced he's joining an effort to have D.C., Maryland and Virginia all agree to withhold any development funds as the team looks to build a new stadium in the region. Moon is pursuing the idea in Annapolis and joined with Grosso in the proposal. The legislators acknowledged a tough road ahead. Virginia Gov. Terry McAuliffe actively is pursing the team for Loudoun County, and no significant public opposition has emerged in that state. In the District, every mayor since Tony Williams has sought to bring the team back to a new facility at the site of the Robert F. Kennedy Memorial Stadium, more commonly known as RFK. A $500 million plan to redevelop the entire RFK area of parking lots with retail space, parks and ball fields also includes space for a 70,000 seat stadium and would require the team to fund the initiative. Veteran D.C. Council member Jack Evans supports a team-paid stadium at RFK. He said the name issue will work itself out, but he wants the multibillion-dollar business in D.C.